Rediscover the revelry and recklessness of the Roaring ‘20s in Jorden Morris’ poignant new production of The Great Gatsby. In the summer of 1922 a romance rekindles between two of the Long Island elite: married Daisy Buchanan and mysterious Jay Gatsby. 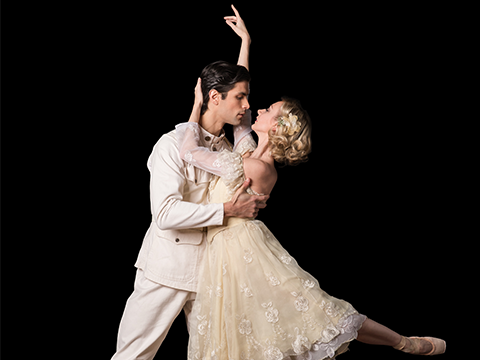 Morris brings F. Scott Fitzgerald’s drama to life with emotive dancing, an original Carl Davis score, and cinematic sets that draw audiences into Gatsby’s exclusive soirees. At the heart of this story is a man who, beneath the glitz and glamour, sees love as his guiding light to the American dream.